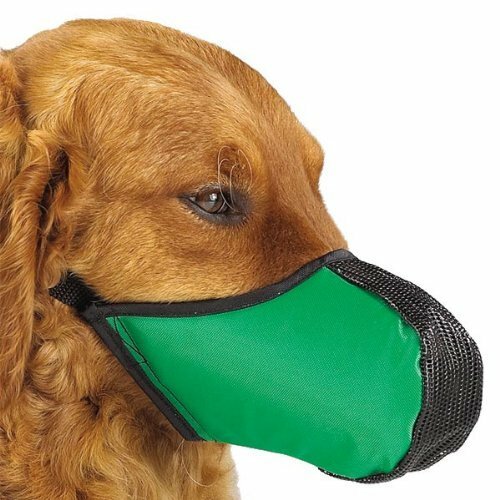 The patented design of this cordura nylon muzzle?features a special insert of welded fishnet plastic mesh. Allows dogs to breathe normally, while restricting unwanted behavior such as biting and chewing. Muzzle slips on quickly, snaps closed, and has an adjustable, woven nylon strap. Tough, washable cordura nylon resists tears and punctures, yet feels comfortable to the dog.